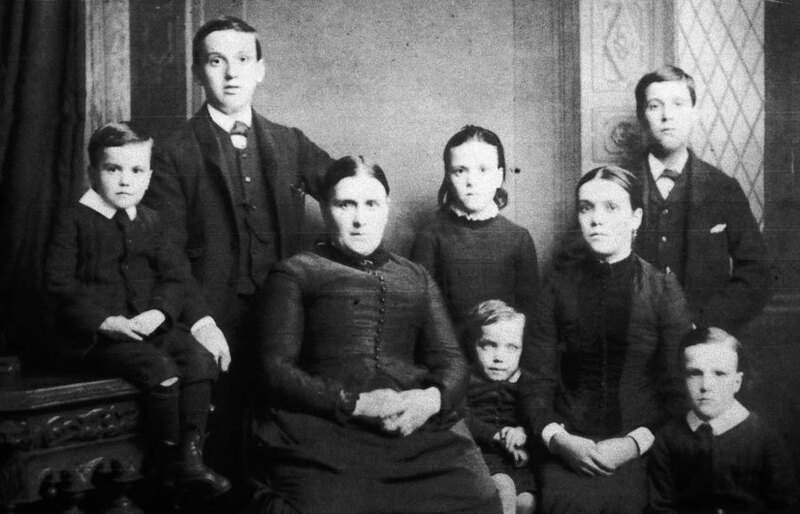 Margaret Richardson (née Pallister) with her 7 Children. Margaret's husband Robert died in the Disaster. L-R: Ralph P. (1880-1945), Thomas (1868-1928), Margaret P. (1849-1908), Annie (1875-1944), John R. (1882-1949), Isabella P. (1869-1944), William P. (1873-1930), Robert (1877-1930). 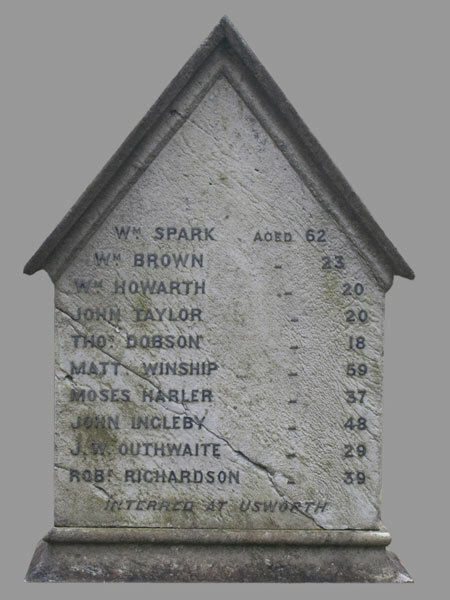 At 8:58 p.m. on the evening of Monday 2nd March 1885, a build-up of methane gas was ignited by shotfiring in a stone drift at Usworth Colliery. 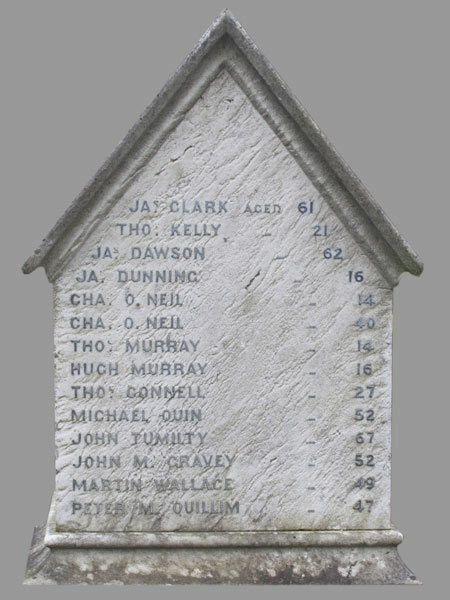 The resulting 'coal dust, gas & air' explosion was catastrophic - 40 miners died immediately and 2 more succumbed to afterdamp (post-explosion gases) while attempting a rescue. Hundreds of Usworth miners were suddenly without work. Margaret Richardson, of 51 Railway Terrace, lost her husband Robert in the disaster. Robert was 39 years old and was interred along with his Anglican colleagues in Holy Trinity Churchyard, High Usworth. 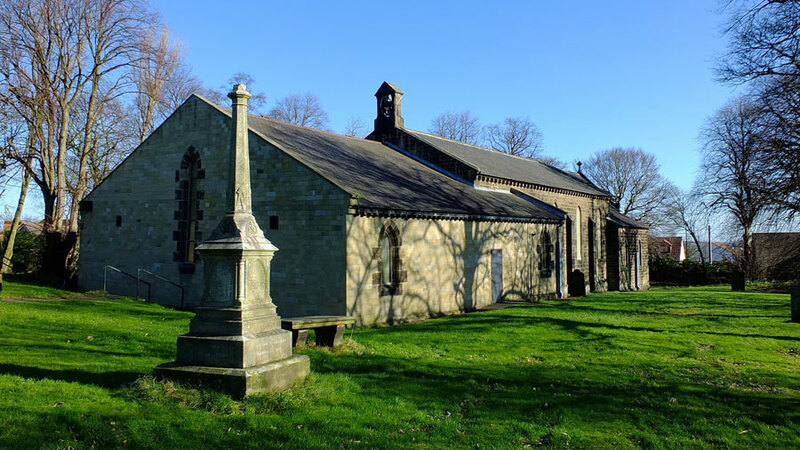 The funeral took place on the 26th March 1885 and the burial is recorded in the parish register. 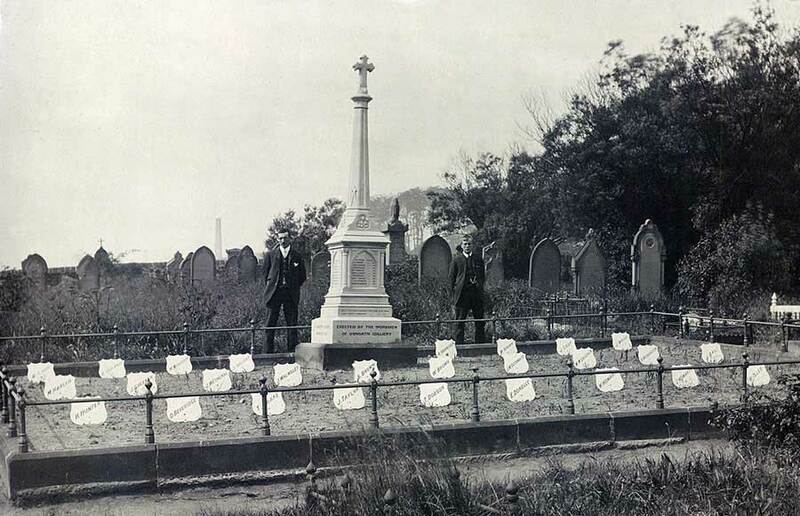 Roman Catholic miners were laid to rest at Our Lady's Church in Washington Village. By an incredible piece of good fortune the family's eldest son, Thomas, was having a day off work. Margaret, now a widow, had six children to raise - Thomas being classed as an adult. Life must have been very difficult for the Richardson family. Like many of the other widows, Margaret became dependent on financial support from the Miners' Permanent Relief Fund to help raise her family. She received a lump sum of £5 plus 5 shillings per week widows benefit, payable while she remained a widow. For each of her children she received 2 shillings, payable until the boys reached the age of 12 and the girls 14. 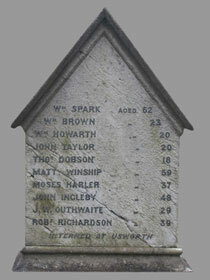 The families of the single men who died in the explosion each received a one-off payment of £23. By the time of the 1891 census the family had moved to 11 Railway Terrace and Margaret, now aged 42, was working as a dressmaker. Margaret's neighbour, Jane Howarth, of 13 Railway Terrace, had lost both her husband Jonas (48) and her son William (20) in the explosion. 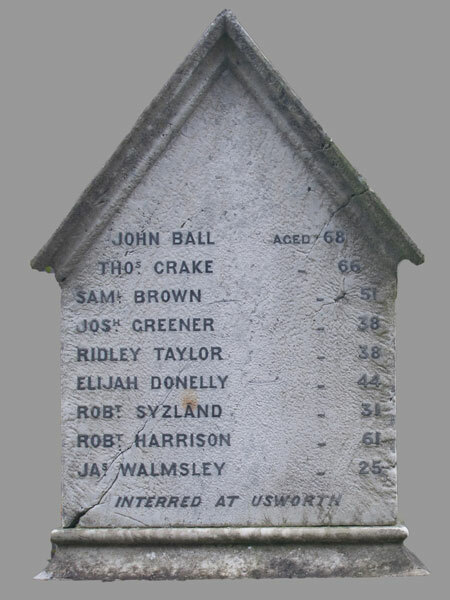 Thomas was no longer in the Richardson family home but William, now aged 18, and Robert, aged 13, were both working in Usworth Pit - a Putter and a Trapper Boy, respectively. Isabella was 21 and probably helped her Mam with the dressmaking. Annie, aged 16, was no longer at home, having gone 'into service'. The two youngest, Ralph aged 10 and John aged 9, were scholars. In 1892 Margaret remarried. Her second husband was John Patterson, a Winding Engineman, whose first wife, Mary, had died 3 years earlier. The 1901 census shows Margaret as M. Patterson, aged 52, living with her (2nd) husband at number 11 Pensher View, Usworth. On 28th March 1903, John Patterson died, aged 58, leaving Margaret a widow for the second time. She died on the 19th October 1908, aged 59, in the Royal Victoria Infirmary, Newcastle. Her home address was given as 6 Cooperative Terrace, New Washington. 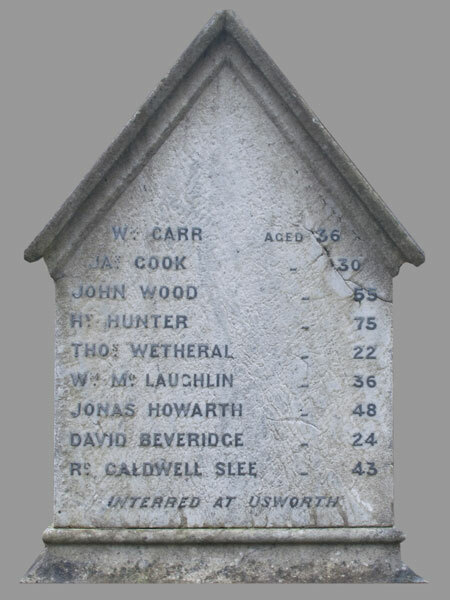 Her funeral service was at Usworth Primitive Methodist Chapel at 3 p.m. on 22nd October 1908, followed by burial at High Usworth. 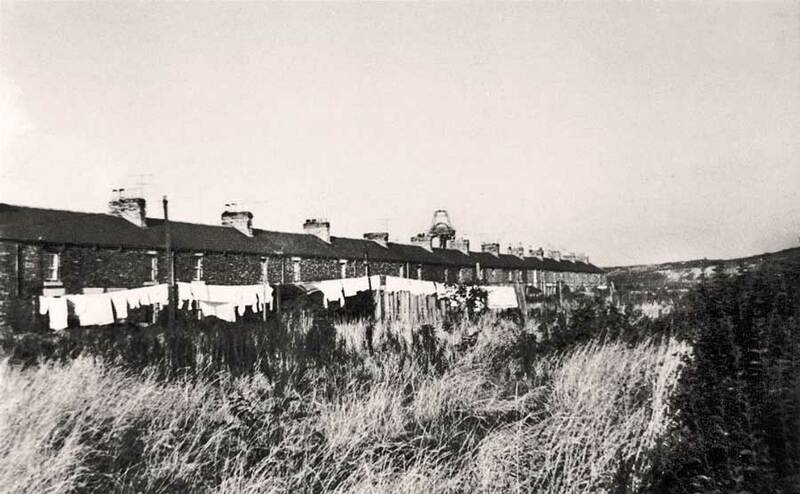 All five of Margaret Richardson's sons followed their late father 'down the pit'. Thomas went on to become a local councillor and officially opened The Glebe School on 27th August 1908 - 6 months after the Glebe Colliery Disaster. 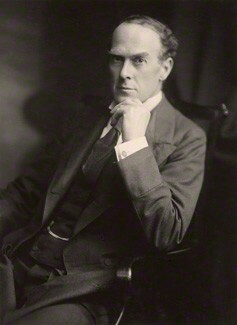 He was later elected as Member of Parliament for Whitehaven (1910-1918). 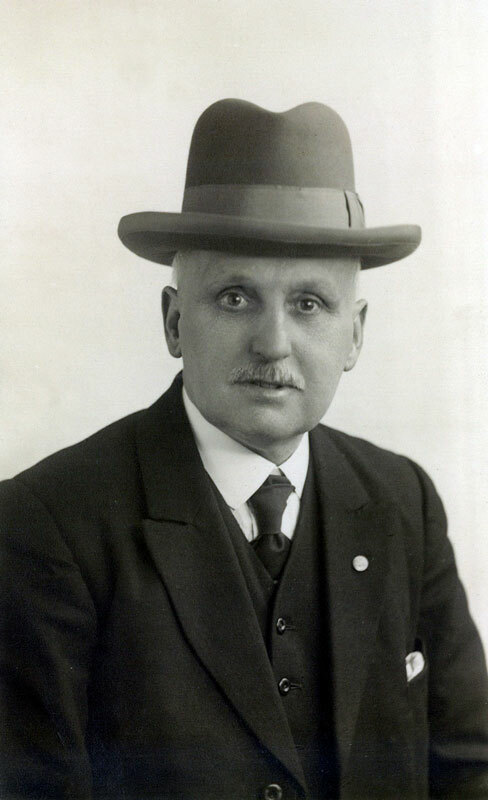 William became Usworth Colliery's Union Branch Secretary in 1898 and was appointed treasurer of the Miners' Federation of Great Britain in 1921. 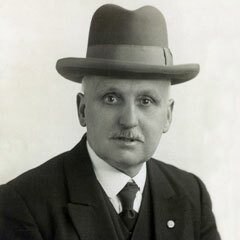 In 1924 he became General Secretary of the Durham Miners' Association. William held these last two posts until his death in 1930. Bella married coal miner Leinan Gaunt, became a Councillor and was very active in local politics. High Usworth and the other at Our Blessed Lady Immaculate on Village Lane, Washington Village. This is a story of one family's courage in overcoming adversity. Much more on this Usworth mining family at: The Richardson Family. Date & Time of the Explosion: "Monday, 2nd of March 1885, at 8.58 p.m."
Inquest Verdict: "Accidental death due to the explosion of coal dust, gas, and air ignited by the shot fired at Brown's place in the stone drift." Initial Fatalities: "At 8.58 the explosion occurred, and 40 men and every horse then in the West Pit perished." and notwithstanding a very gallant attempt by Mr. Lindsay to save them the two latter perished from the after effects of the explosion." Please Note: The names of Mr Caldwell Slee and Mr Donnelly appear differently on the Our Lady's Memorial. 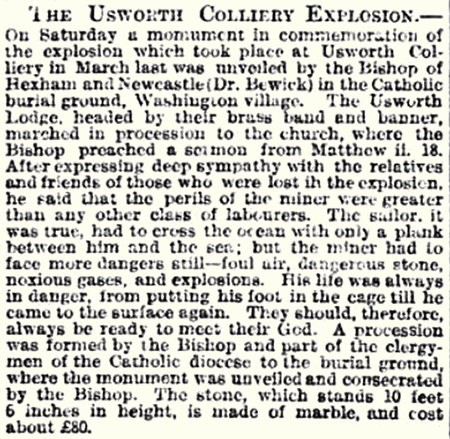 "A surprising discovery, recalling a serious explosion that took place at Usworth Colliery 28 years ago, has been made in the Maudlin seam at that pit. The body of a pony, which was standing erect on its legs in the stables, was found. Its mane and tail are described as being perfect, and its flesh hard. Lying close behind the pony were three other dead ponies in similar condition. The explosion, which occurred on March 2nd 1885, caused the death of about 42 miners." 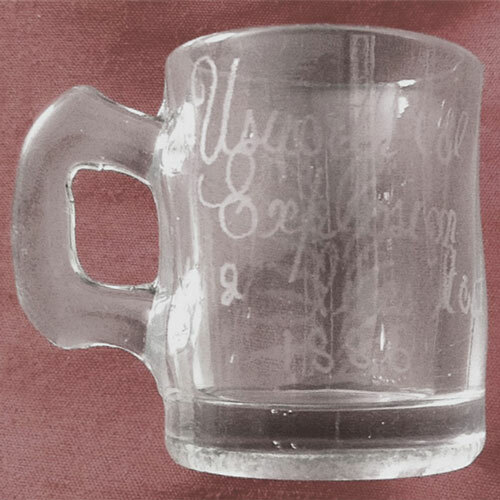 It is currently in the safe keeping of Marian Morgan, Mr Donnelly's great granddaughter. This treasured heirloom has been passed down through the maternal branch of Marian's family. Picture and information posted by kind permission of Marian Morgan. In Remembrance of Elijah Donnelly. The Beloved Husband of Jane Donnelly. 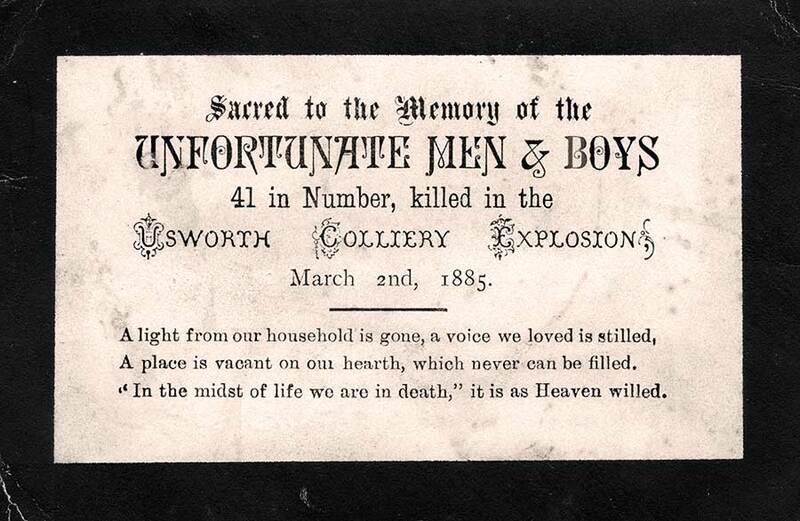 Usworth Colliery Explosion March 2nd 1885. See Subsequent Fatalities on the Report Extracts Tab. Picture supplied by Marian's cousin, Tom Hunter, and posted with their permission. 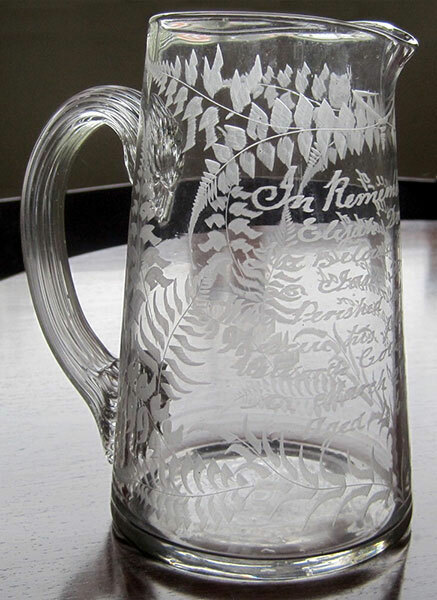 An email to Durham Mining Museum website confirming the distribution of Commemorative Mugs to all the bereaved families. Mr Younger, a relative of casualty Robert Syzland, also points out that Robert's true family name was Sizeland. This image appears here by kind permission of Colin Younger, owner of The Card and relative of one of the casualties, Robert Syzland (true surname: Sizeland). "The Card measures 4.5 x 3 inches. I bought it from a dealer in Hull who said they were printed and sold to the public (for about 1d) to raise money for the distressed families. He did not know who organised the collection or who distributed the money. Note the error - 41 killed, not 42."